As part of the company’s continued focus on providing the highest levels of customer service, sales and aftersales support throughout the UK and overseas, Tong Engineering is pleased to announce a number of new representative appointments in its home and export markets. 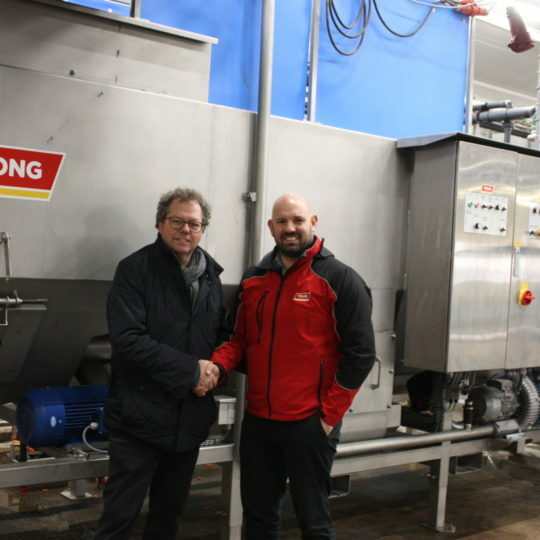 Currently exporting to over 50 countries worldwide, Tong has recently appointed sales and engineering professional Eddy Deschuymer to develop sales of the company’s advanced range of potato and vegetable grading, washing and handling equipment in the French, Belgian and Dutch markets. 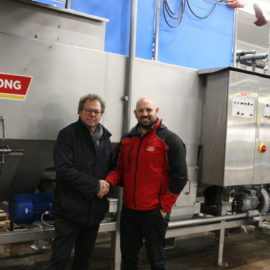 Based in Kortrijk, Belgium, Eddy will be responsible for visiting customers to discuss their handling equipment requirements, generating new business leads whilst providing local sales and service support for existing customers. Closer to home in the UK, Ken Jackson, of Jackson Machinery Services near Taunton, has been appointed official dealer for Tong Engineering in Somerset. “Ken is a very well-known agricultural machinery specialist in the South West of England, having serviced Tong equipment for many years,” says Nick Woodcock, UK Sales Manager at Tong. “Appointing Jackson Machinery Services Ltd as an approved Tong dealer to continue to provide excellent local service support, as well as new equipment and spare parts sales, has been a natural partnership for us. I look forward to work alongside Ken in this area, where he has a great understanding of the ongoing requirements of our customers,” says Nick. The latest appointments are part of a wider growth strategy at Tong Engineering to increase export sales and regional customer support. In 2018, Tong announced International expansion with the opening of a new Tong USA spares, service and sales facility based in Fremont, Michigan. The Tong USA office provides additional support to Tong’s USA-based customers, with very responsive spares and service backup, including a wide range of spare parts available with a quick turnaround, when they are needed the most. “The Fremont-based office is proving to be the ideal meeting place for Tong and customers who operate locally, as well as a base from which we can visit customers all over the USA,” adds Charlie. Pictured: Eddy Deschuymer (left) and Charlie Rich (right).